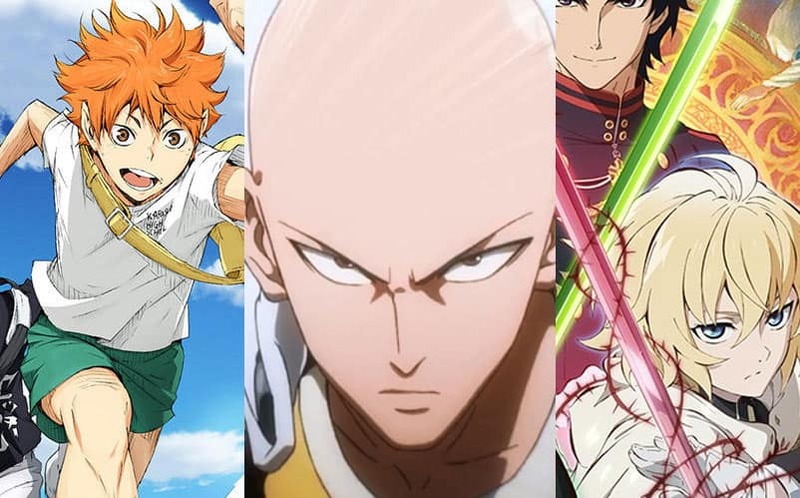 10 Best Fall 2015 Anime to Watch | Nerd Much? It’s back to school these next few weeks, which means the fun, relaxing summer is sizzling away by the day. Although this may seem like a depressing thought, there is much to look forward to in the next coming months in our wonderful world of nerd. From long-awaited video games to movies and television series, there’s so much to keep one occupied between long days of work and school. For anime fans, this is definitely a time to look forward to, especially with the fall 2015 anime lineup, which begins in the first week of October. From new to returning series, fall 2015 has much to offer for any otaku, casual fan, or those looking to get into anime. Although the summer anime season still has a few weeks left, time will pass rather quickly. In America, comics and superheroes are the staple of nerd culture. Comics have always been a popular form of reading and entertainment, and are more prominent than ever with aspiring new artists, continuations of old series, and a vast history that spans across several years. With that in mind, it is important to note that anime series often have heroes or protagonists with supernatural powers but are rarely defined as “superhero” shows. However, there are exceptions to this with anime series such as Samurai Flamenco that feature spandex wearing superheroes involved in saving the city, a parody on the popular genre. This fall, a new “superhero” anime will be released by Studio BONES, a well renowned animation studio that produced some of the best-known anime, such as Soul Eater and Full Metal Alchemist. In Concrete Revolutio, many types of superheroes gather together under the Superhuman Bureau, who protect society while eliminating threats to the city. Although the plot may sound a bit generic right now, the characters, animation, and background art look stunning and unique. Not much is known about the story since the anime will be an original work. However, at least one episode will be worth the watch as it has the potential to become a very prominent series. Two years ago, a promotional video showcased Kyoto Animation’s new series, Free! : Iwatobi Swim Club, a show about the members of a boy’s high school swim team and their journey in both swimming and in life. What’s unique about Free! is that it is a landmark series that differs from the usual “cute girl” anime, appealing to a female audience rather than mostly a male one. The series spiked in popularity, producing two seasons of anime and a large fanbase. High Speed is a prequel to the events of the series, taking place when the boys are in middle school and are swimming together, unseperated by schools and colleges. Although it is a movie rather than a series, Free! Starting Days will provide a new backstory to the characters of the franchise. It’s set to be in Japanese theaters this coming December. Like with Free!, Haikyuu! is about a high school boy’s sports team that is well written and has gained a very prominent following over the past year. Haikyuu! follows Karasuno High School’s boy’s volleyball team and their journey through many games and tournaments, with the ultimate goal of taking first place. Although season one ended with a loss for the team, season two will follow a new tournament and storyline, introducing more characters and continuing on where the series left off. Haikyuu!’s continuation is a highly anticipated series and fans can expect more humor and priceless moments between the characters. In Japan, the Gundam mecha series has always been the most popular and one of the longest running series of all time. IRON BLOODED ORPHANS is slated to be the fourteenth entry, and has gathered a lot of hype since it’s announcement. This installment follows a post-war society in which humans have found life on Mars. IRON BLOODED ORPHANS will depict a struggle between lives on Earth and Mars, and also the concept of children vs. adults. As a Gundam series, this anime has a lot of potential and seems to go back to some of the previous installment’s roots. Combining the threat of vampires with a high school setting doesn’t seem like the most innovative of ideas when it comes to anime series. However, Owari no Seraph executes this concept well, which is proven from season one that premiered this past spring. In this world, a virus wipes out all humans but children under the age of 13, who are forced to create a new life under the reign of the vampires who emerged after the attacks. Yuu, the protagonist, vows to get revenge on the vampires who murdered his precious friends back in his orphanage. The second part will offer more detail into the story, going further into where the manga is currently. K is a very interesting and thought provoking show that deals with several “kings” with supernatural powers who rule the modern streets of Tokyo. These kings use their psychic powers and are divided into clans among the streets. In the first season, a high school boy was thrown into the world of the kings after being accused of a murder. Since the end of season one, movies have spawned, as well as novels and manga. However, fans of the show have eagerly been waiting for the return of the weekly anime series, and are in luck this fall. K returns in full throttle with beautiful visuals, a catchy trailer song, and a promising sequel to further delve into the lives of the kings. A classic series detailing the life of the great thief Lupin’s grandson, Lupin III is a popular franchise that dates back to the 1960’s. The main protagonist, Lupin III, steals precious treasures, sending a signature calling card before taking his loot. In the series, he travels the world with his companions, outrunning authorities and those who get in his way. This new season of the classic involves Lupin’s adventures in Italy, and has actually premiered in that country on August 30th. Japanese fans and those who use legal anime streaming sites will have to wait until October to see the premiere, but it is well worth the wait. Imagine a world in which gods protect humans from evil spirits, using shinkis, or dead human souls to defeat enemies or opposition that interfere with everyday lives. These gods cannot be seen at first glance unless there is a bridge between the spiritual and real world. This is Noragami. Noragami follows Yato, a god who is not well known to others, and the human girl, Hiyori who becomes a part of the supernatural world when saving him from a moving car one day. Season one of Noragami premiered in 2014 and provided fans with an enjoyable show that mixed amazing fight scenes with plenty of comedic dramatic, and romantic moments to make it a memorable show. This coming season will focus on the god Bishamon’s arc which will follow the manga. If it’s anything like the first season, Aragoto will be an amazing ride with well-written characters and interesting historical lore. Digimon Adventure, a beloved childhood series by many, was prominent in the “virtual pet” craze during the late 1990’s and early 2000’s. In this series, seven children are transported to the digital world and are given a companion, or a Digimon, to defeat evil and save humankind with their Digidevice, a handheld tool that summons their virtual pets. Although it sounds very similar to Pokemon, Digimon proved itself to be something more than what some called a rip-off of the virtual pet series. Many fans grew attached to the characters and storyline. What surprised many was that Digimon was going to be having another series years after the original anime ended, taking place when the characters are high school students. Originally slated for a spring 2015 release, Digimon Adventure tri. wowed fans and gathered quite a big of a following since it’s announcement. Although tri will not be an anime series, it will be released in the form of several mini-movies, the first one coming out this fall. The wait is soon to be over, and digi-fans will be able to enjoy a time skip into the lives of their favorite childhood characters. Probably the most hyped anime in the fall season, One Punch Man is talked about everywhere, from forums to blogs to various websites. Based on the popular webcomic, One Punch Man follows Saitama, a hero who can literally defeat any enemy with one punch. He is considered a superhero and is unsatisfied with the fact that he can defeat others so easily. Eventually, he becomes a member of an organization dedicated to fighting evil and his adventures deal with defeating some of the hardest forces that go against him. That being said, One Punch Man is set up as a parody on generic shounen series, which is bound to be both amusing and a break from shows with completely serious plots. One Punch Man looks great, and might even become one of the most popular anime series of 2015. 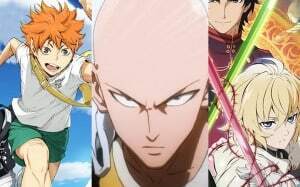 The Fall 2015 anime season is full of returning series and franchises in which fans have been waiting quite some time to air again. Besides this, there are also new and original series that have sparked interest and go beyond generic anime. Fans new and old can expect quality titles from this season. Since most of these series will air in October, there’s plenty of time to catch up on the first seasons before the new ones air. Watching anime is perfect for that after school or work break, and is definitely something to look forward to this fall.